New Orleans is a city, like no other. A little southern flare, a great music scene, and a culture all its own. From Bourbon to Canal Street, Magazine to Frenchman, the food, fun, and festival is around every corner. The best way to experience a city is to eat. In food you get an idea of cultural influence, what a city is known for, and some delicious finds that you may have never experienced elsewhere. I love eating locally when I travel because if it’s going to be the best meal you’ve ever had, it’s going to be in the city that is famous for it. So, while enjoying New Orleans I was sure to seek out beignets, chicory coffee, tons of fresh seafood, and alligator sausage. Here are my recommendations for delicious meals for all different appetites. Seaworthy: This dimly-lit hipster restaurant will transport you to the past with years of wax dripping from the candles on the mantle and craft cocktails. The seafood is fantastic, and the cocktails are strong. Willa Jeans: This easy bakery-esque restaurant surprised me. From the look of the restaurant and the menu I would have guessed this place would be best for an easy breakfast or lunch, but it turned out to be a fantastic dinner spot. No reservations needed and the fried chicken was the best I’ve ever had in my life. Being a bakery, I would also highly recommend their corn bread served with honey. 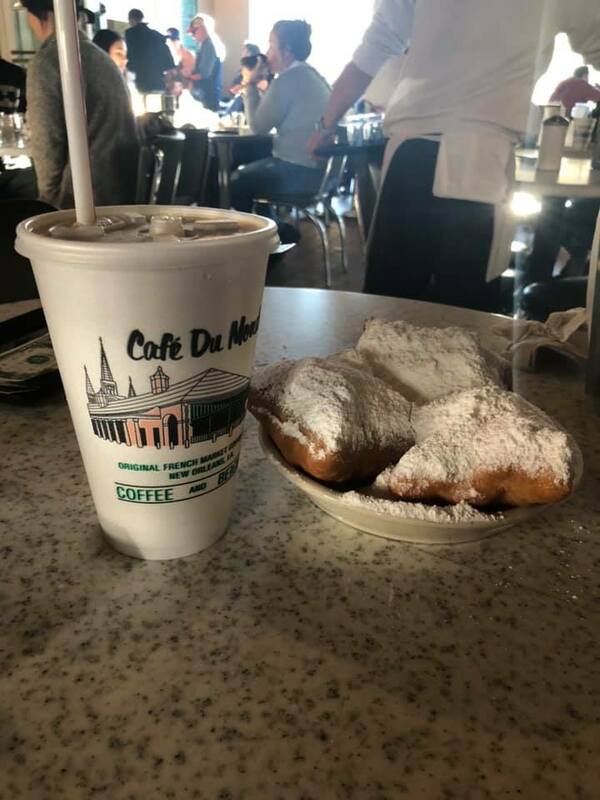 Café du Monde: Generally, I don’t love to spend too much time at tourist hot spots, as I usually find the food lackluster and the atmosphere anxiety inducing at best. But I was totally wrong about Café du Monde. I knew I wanted to beat the lines, so I got up and headed to this world-renowned restaurant early in the morning (around 7am). There were no lines and we were greeted by a server minutes after sitting down. We ordered a round of beignets, 3 in total, and iced chicory coffee. When they arrived, piled high with powdered sugar, we sunk our teeth into the deliciously sweet, fluffy, fried dough of our first beignets. Even if you aren’t particularly a sweets person, like me, these are simply not to be missed. The coffee is a great compliment to the beignets and has a history all its own. In the 1800s New Orleans (and other parts of the world) were experiencing coffee shortages so they mixed it with chicory to allow their supply to last longer. That’s the great thing about food, sure it’s delicious, but usually when a city is famous for a certain food there is a rich history behind it as well. If you are a live music lover, there truly is no better city than New Orleans for your next vacation. I would not say I am well versed in Jazz music, but I appreciate a great house band. We started out the trip by visiting Bacchanal wine bar, where you can sit outside on the patio and take in live music every day of the week. We were there on a Friday afternoon and the duo on stage started the party early. This location had great snacks and drinks and the setting reminded me of a friend’s backyard. Very relaxed and enjoyable. If you are looking for something a little posher, then the Ace Hotel is the perfect spot. On Friday nights there is live music in the bar area of this swanky hotel. Grab a seat in the lounge or up front by the stage and enjoy this upscale date night. Finally, if you are looking to bounce around from show to show, then head to Frenchman street. Here you can catch shows at The Spotted Cat or wander down the street letting the music pull you in! New Orleans is more than just food and music, there is a ton to do in the Big Easy. If you love antiquing or shopping in general Magazine Street offers shop after shop of local favorites. If you want to get pampered before your night on the town then I would highly recommend Nail Bar NOLA. The setting is great, you get free champagne while you get your nails done, and the staff is delightful. 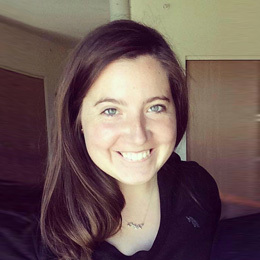 Maybe you are looking to learn a little history of the city and get spooked. I would highly recommend a ghost tour. 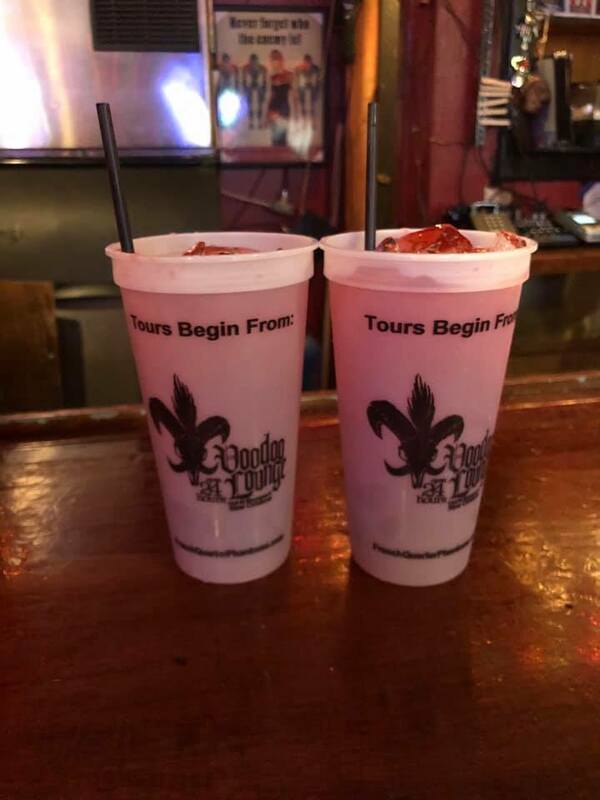 French Quarter Phantoms offers different types of ghost and vampire tours and with your ticket you receive buy one get one hurricanes. Learn about the city’s notorious serial killers and here the lore that still exists around this 300-year-old city. I would like to conclude my section on fun with my favorite thing we did in New Orleans. On our final night in the Big Easy we headed to what is dubbed as “one of the top five dive bars in the country”. You generally can’t beat the cheap prices and décor of a good dive bar, but Snake and Jake’s offers you so much more. When we first arrived at this neighborhood treasure we were confused if we were in the right location. Our Uber dropped us off at what I thought looked like a garden shed in the middle of a quiet neighborhood. We went in through the door to the darkest bar I have ever been to. It was around 10pm and there were only a few people in the bar, we later found out this is a 4am bar, which means the party doesn’t really get started until after 1am. As we approached the barstools the colorful bartender kindly told me, “no don’t sit there, that’s the dog’s stool”. I was confused but proceeded to slide over one seat. Just as I sat down a hound dog jumped up beside me to request a treat from the bar owner. Shortly after another dog came along and did the same. This continued throughout the one hour I was there, both dogs coming up for pets, treats, and just to sit at their barstool. To a dog lover like myself I couldn’t have asked for a better last night. I spent exactly $4 on two beers and watched as these two dogs greeted every person who walked in the bar and often cuddled up on couches and seats throughout making new friends. New Orleans has a personality all its own. From its rich culture and fantastic food, to its legendary music scene New Orleans should be on your list for your next celebration. 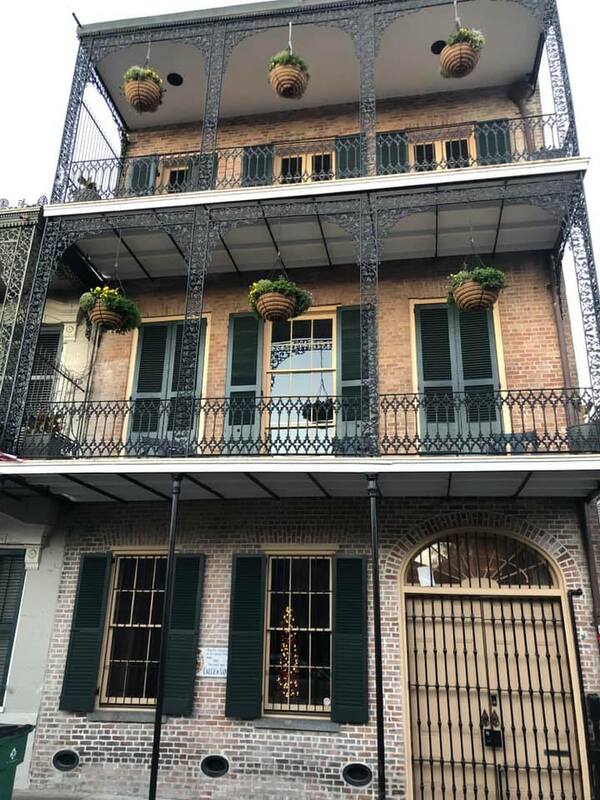 There are so many ways to experience this city it is hard to take it all in over the weekend, but no matter how long you spend in the Big Easy you will leave looking forward to returning again.